Schuey is back with Mercedes in 2010 – it’s going to be a fantastic season next year. 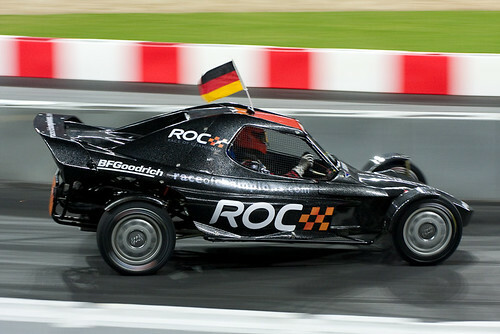 This image was taken at the Race of Champions 2008, held at Wembley stadium. This entry was posted on Thursday, December 31st, 2009 at 11:41 am. It is filed under Image Blog, Motorsport and tagged with Michael Schumacher, Race of Champions, Sport. You can follow any responses to this entry through the RSS 2.0 feed.